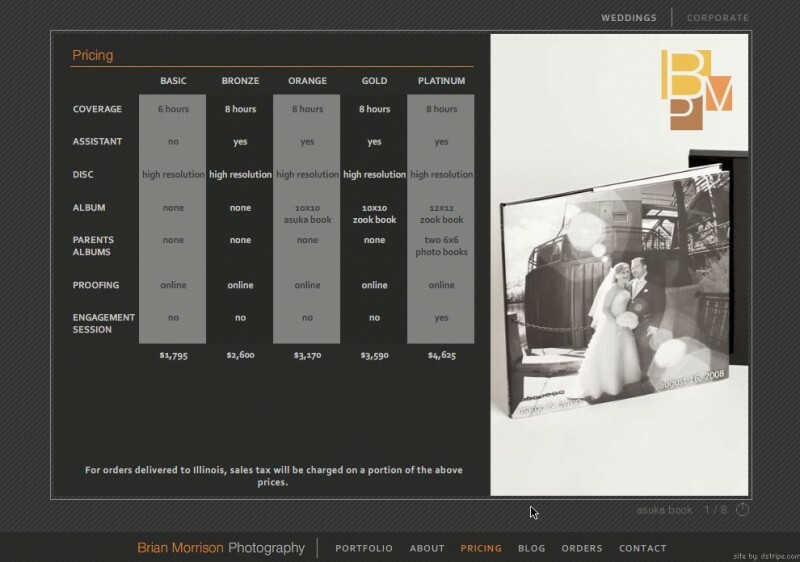 Dark grey pinstripes mixed with pops of orange create a professional and clean backdrop for Brian’s stunning images. 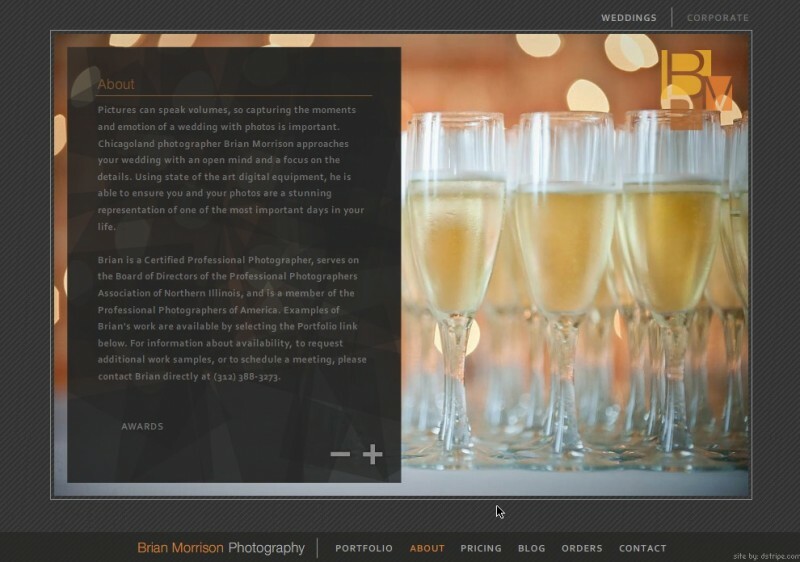 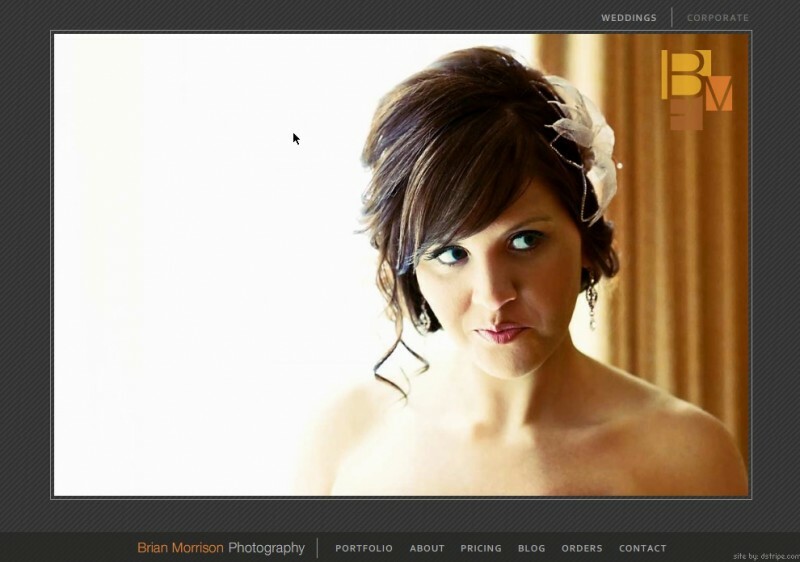 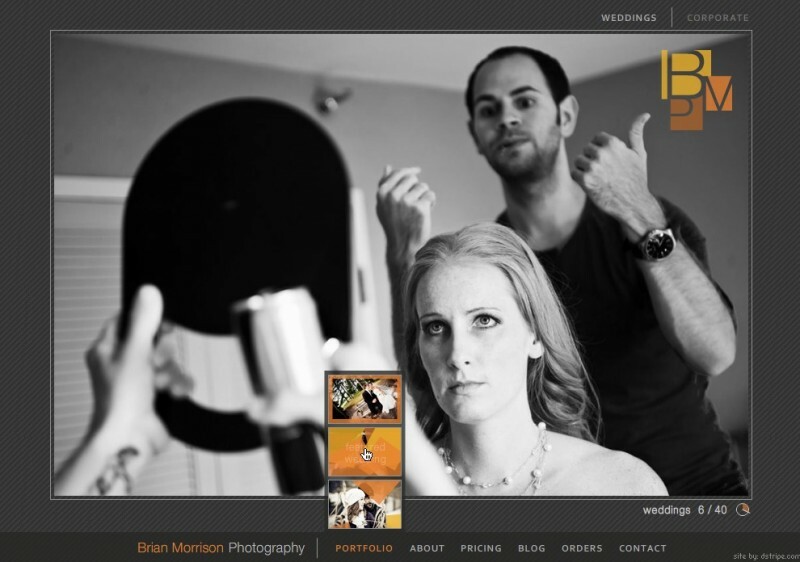 Two websites, linked together with a click, showcase his wedding and corporate photography. 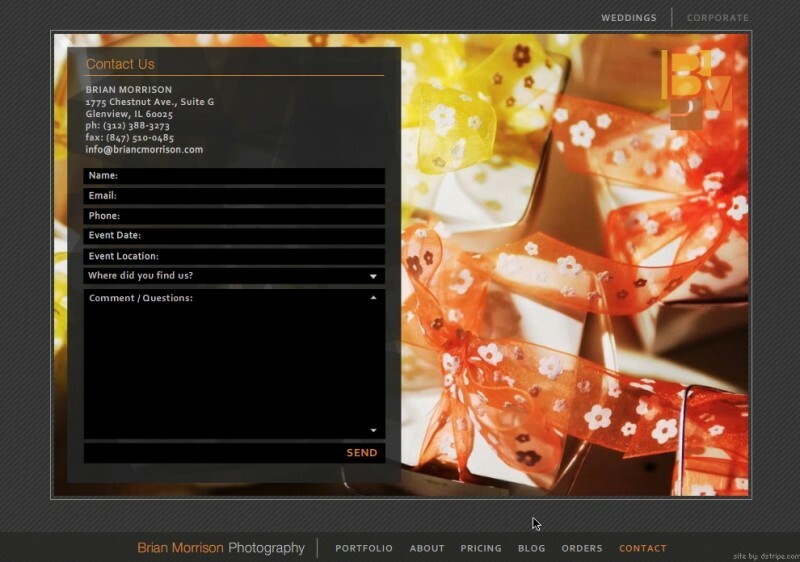 Movement creates interest in places like the gallery submenu, client list page, about page, or contact page where boxes slide into place to fill the space like a deck of cards.